The NGA has partnered with Staples to offer all member companies a discount on office supplies. This new discount program is being offered to help you continue to lower your operating costs. Register today to start receiving discounts. Staples Advantage offers a business-to-business internet ordering solution where you can order supplies electronically from your computer anytime. 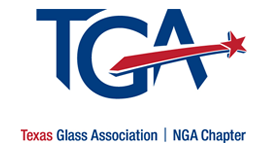 The site provides immediate access to over 30,000 products, with new additions daily, at the prices negotiated for NGA members. Staples Advantage offers you world-class customer service and peace of mind. If you are already a StaplesLink.com customer and have received your logon information, you can go directly to the StaplesLink login page and begin ordering. If you have not registered or have not received your logon information, please complete this form to begin. You must use a credit card to place your Staples Advantage orders. If you have any questions about the program, email [email protected].